Today, I am going to show you how we can create website login page finder using python? In Today's Website, Admin pages are always very important because admin page provides us website setting and configuration controls. And With These Controls, we can do many things with Websites. In simple words, admin page is like a small configuration interface of online working site and other functionalty working on server that helps website admin to manage different thing online from anywhere. That's why Almost Every Hacker, Always begins There Penetration Testing from Admin Page Finder. 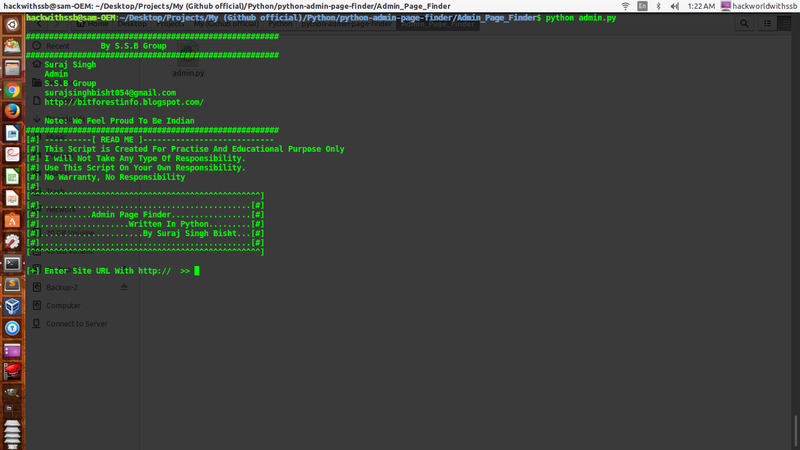 In order to be a good ethical hacker or penetration tester, we need to have good knowledge of admin page finder. because These types of tool always plays important role in many types of website penetration testing. In this script, we will simply going to try different URLs for finding correct one URL. Very Easy! 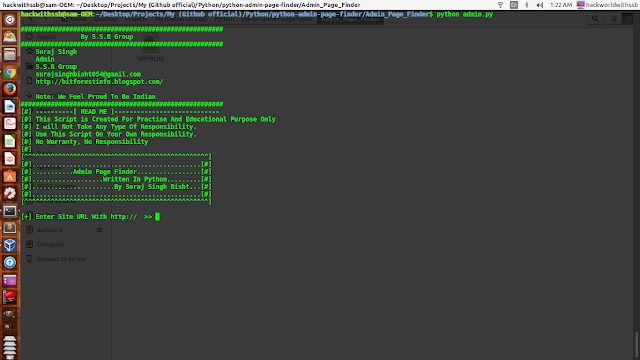 Just Enter Different URL Address in urllib2 object handler and check its response. Because There can be Thousands of possible URL, So, Here To make this script faster I collected Some Good URL list from all over the internet so that we can our possibility of success will increase. but if you want to add more Urls then you can also modify these list as your requirement. 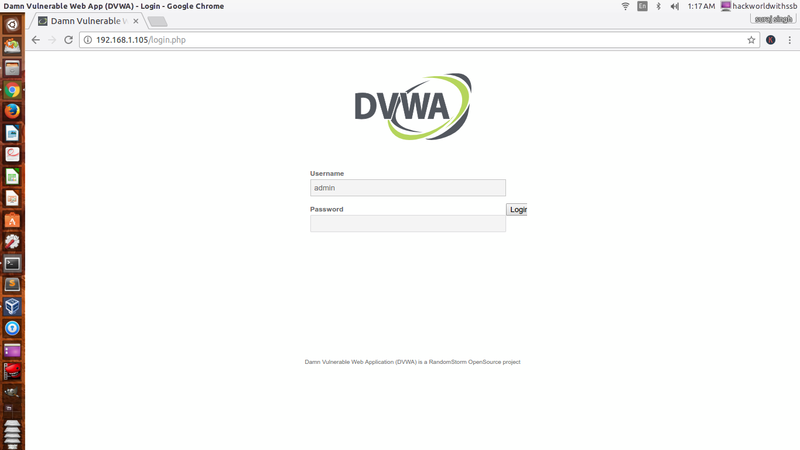 Actually for testing purpose, I am using my own local server and DVWA(damn vulnerable web application ) because without permission of website administrative, Use of this tool or Any Other Penetration Testing is completely illegal. 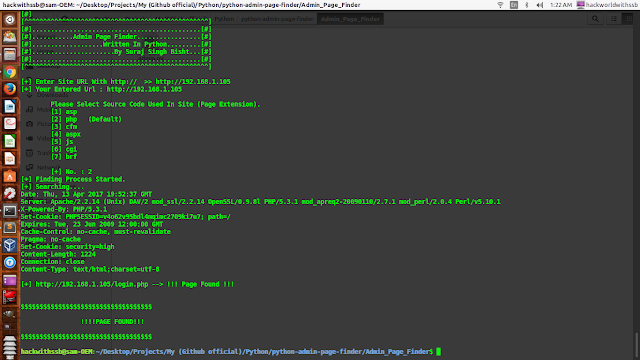 here are my python codes. friends, for better understanding I am using comments. only for you. [#] I will Not Take Any Type Of Responsibility. [#] Use This Script On Your Own Responsibility. print "[+] Network Problem! Server Not Found[+]"
Please Select Source Code Used In Site (Page Extension). print "You Entered Wrong Input!" print "[+] Finding Process Started." print "Unable To Find Admin Page!"